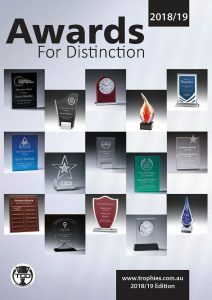 Engraved and printed corporate awards for presentations and acknowledgement are our specialty. Let us create for you a unique and customized award. Choose from acrylic or glass awards which both can be laser engraved or printed in full colour. For something different we are also able to laser engrave timber awards for that special presentation. All awards are decorated using the latest machines and technology. 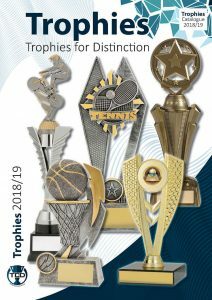 You will be surprised to learn that many of the trophy suppliers in Cairns use Pantographic Engraving to engrave or print corporate awards and trophies using our equipment for their clients. Learn how to search for Awards and Trophies, get the best local price, plus keep the engraving work local. Are we crazy sending you to the biggest online supplier of Awards and Trophies in Australia? 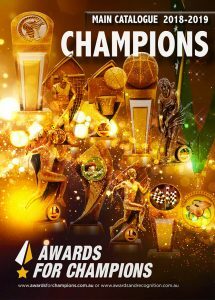 We hope you will use the www.awardsandtrophies.com.au website to search only. Copy and paste the Product SKU: # of awards and trophies that interest you directly into the form at the bottom of this page or send us an email with product codes. 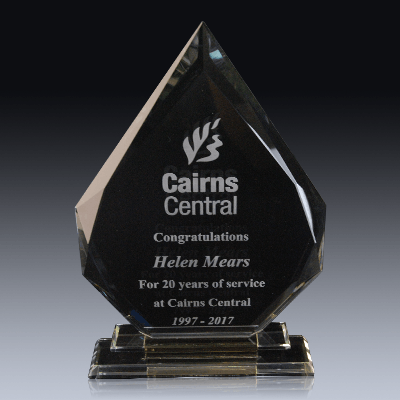 We will match the prices and delivery times you see online including the engraving or printing which will be done here by us in Cairns. You will also find most products in the below catalogues of awards and trophies.